Let’s face it. As girly-girls we all love tutus. No matter what your age. By now most of you have heard the story about Monika Allen, who along with a partner, runs a terrific little company called Glam Runner. They make tutus for girls/women to run in (although I suppose you could do just about any exercise in them). SELF magazine used a picture of her running in her tutu to poke fun of women running in tutus. Monika has brain cancer and was running in the LA marathon when the picture was taken. She was dressed as Wonder Woman (what great inspiration!) and her friend, who ran alongside her, had the words “Die Tumor Die” on her running bib. The editor at SELF did apologize, stating that they never would have made fun of Monika if they’d known she had cancer. NOTE To SELF: So, does that mean it’s okay to make fun of everyone else? You can read all about the story right here. The SELF story, while a sad debacle on how a women’s magazine seems to find pleasure in” empowering women” by making fun of other women (tell me how that works again?) has provided Glam Runners with lots of good publicity. So, in effect, maybe the SELF debacle can be seen in a positive light in that very few of us would have ever heard of this awesome company without it. Now, I haven’t run in ages (okay, decades maybe) and I just can’t see myself in a tutu, but I want to order one. Or rather, I want to give one away to a deserving reader and when Glam Runners starts making tutus again (they are inundated with orders at present), you better believe I’m going to jump on that. For now, I’m going to settle for making a donation to their very worthy cause, Girls On The Run. Please check this site out. It’s an awesome organization. Subscribe for exclusive content, cover reveals, occasional muffin recipes and corny jokes! 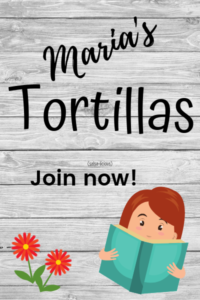 Click below to join my private Facebook Reader group! This site includes affiliate links. If you buy a book after clicking one of my affiliate links, I will earn a small commission. This does NOT affect your purchase price, and it helps me cover the costs associated with running this site.